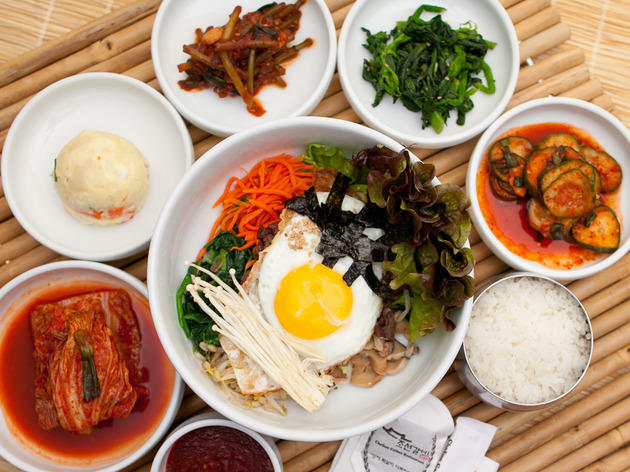 This upscale Koreatown spot is a good choice for those new to or wanting to impress out of towners with tasty Korean food. 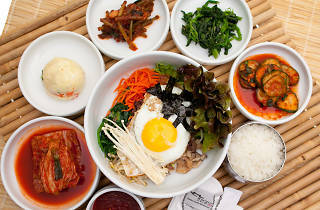 The food is tasty, authentic and popular with Koreans, but it isn't the spiciest in town, and the servers speak fluent English. Sit on the outside patio or grab a booth inside for gal bi, marinated short ribs grilled at your table and served with along side numerous sides. Chosun Galbee is probably one of the nicest looking Korean barbeque restaurants in K-town. It's expensive but at least the meats are good (but not the best) and the atmosphere is appropriate for expense accounts.